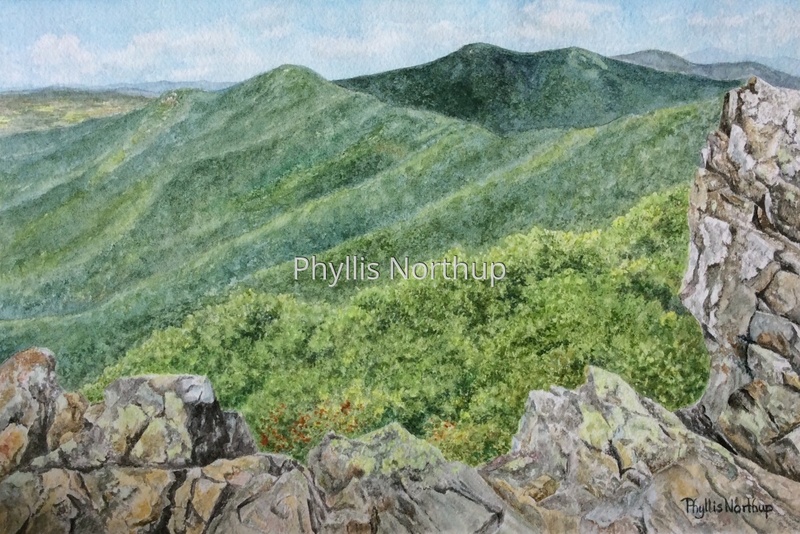 I felt I should include two paintings of Shenandoah in this collection, as we have come full circle and are back to these beautiful mountains where our journey began many years ago. Hawksbill is the highest point in the park, and the views are just spectacular! This is one of a series of paintings "My Backyards" , celebrating the beautiful places I have been privileged to call home. Limited Edition prints are now available of this painting. Choose your print unmatted or matted and ready for a standard 12x16 frame of your choice.